You may not be surprised to learn that smiling can make you more attractive. After all, would you want to approach someone whose facial expression is completely devoid of humor? You may be more surprised, however, to learn that smiling consistently can also have tangible benefits to your overall health and quality of life. Unfortunately, not everyone enjoys the benefits of smiling due to discontent, often because of crooked or misaligned teeth, that makes them self-conscience about their smile. 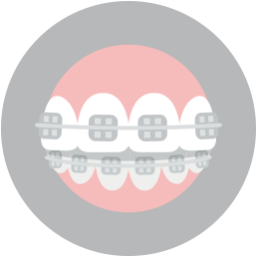 For many adults and older teens, the desire for straighter teeth is weighed against the possible stigma of wearing traditional metal braces throughout their social and professional lives. Lake Worth orthodontist,Dr. 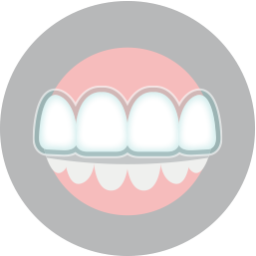 Ciro Cabal, explains a few reasons why you shouldn’t settle for a smile you’re not proud of, and offers a variety of solutions to fit your needs, including Invisalign clear braces. More pleasant social interactions—Most people don’t need scientific evidence to know that smiling makes them more approachable, but plenty of studies provide the results to prove it. People who smile often are perceived as more outgoing and positive, and others are more willing to communicate with a smiling peer than with a surly one. Calm down—In moments of tension and stress, smiling may seem like the last thing you want to do. Nevertheless, plastering a smile on your face when you least want to can help calm your breathing and lower your stress levels, helping you think more clearly. Feel better—Have you noticed that you feel better when you’re smiling? That may be partly due to whatever situation is making you smile, but it may also be attributed to the fact that smiling causes your body to release endorphins and serotonin, also known as natural feel-good chemicals. Enjoy more success—Smiling can make you appear more than just outgoing; it also gives you an air of self-confidence, which can translate into others feeling more confident in you. Research has shown that smiling in the workplace can help your chances of advancement and success when compared to frowning, or only smiling rarely. 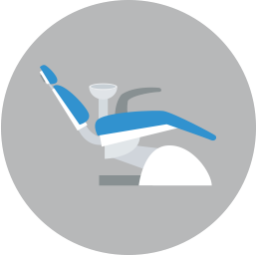 If your smile is held back because of a few misaligned teeth, but you are not excited about wearing traditional metal braces, ask Dr. Cabal about Invisalign, a system of invisible braces that utilizes a series of clear aligners for ultimate discretion during your treatment. If you are in the Lake Worth area and would like to learn more about the joys of smiling, call Lake Country Orthodontics today at (817) 236-7846 to schedule a consultation with Dr. Cabal. Located in the 76135 area, we proudly serve families from Lake Worth, Azle, Saginaw, Springtown, Weatherford, Haslet, Lake Worth, and all surrounding communities.